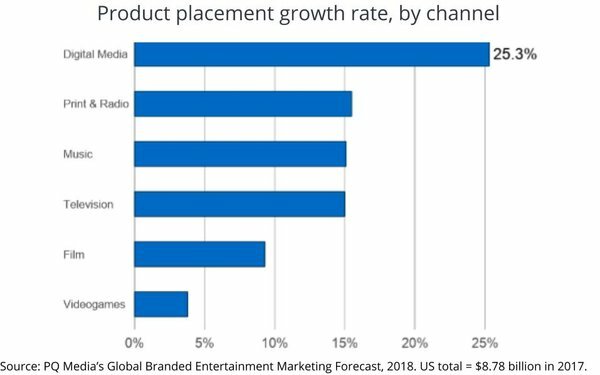 The U.S. product placement marketplace is poised to top $10 billion this year, thanks largely to increasing demand for higher-value integrations between brands and programmers, including content on over-the-top streaming services that don’t accept conventional forms of advertising. That’s the conclusion of an annual report being released today by media industry economist PQ Media. 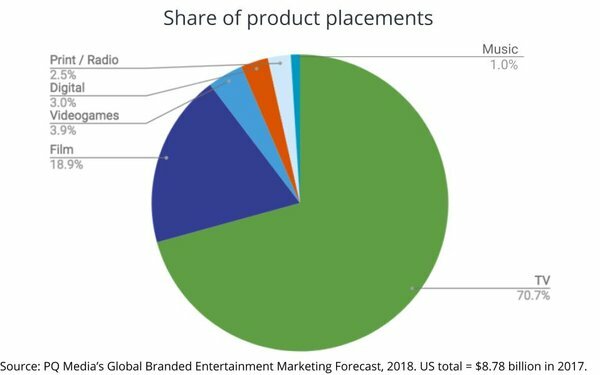 U.S. product placements expanded 13.7% to $8.78 billion in 2017, and the pace is on track to accelerate this year, as brands and their agencies negotiate higher-value deals to offset the erosion of conventional advertising. Major TV networks are expected to garner higher ad pricing in 2018, despite ratings declines and the growth of ad-free streaming. Counterintuitive as it seems, this year’s TV upfront selling period -- during which TV networks sell most of their ad space -- has reportedly been robust. While volume, or the total number of ads sold, is said to be flat, ad prices (or CPMs) are expected to garner 8% to 13% increases. While conventional network TV deals account for more than 70% of the total marketplace, Quinn said OTT video is the fastest-growing segment, including original programming on Netflix and Amazon Prime, neither of which currently accept conventional advertising. “Among the high-profile examples in 2017-18 were KFC’s deal with Netflix to appear in ‘Stranger Things’ and Tin Cup Whisky’s integration in 'Jessica Jones'," PQ notes as part of the 2018 edition of its annual Global Branded Entertainment Marketing Forecast. The report finds that digital video was the fastest-growing segment, expanding more than 25% in 2017. While OTT may be the latest premium offering, Quinn said product placement deal-making also is becoming a much more explicit part of conventional network TV negotiations, including those taking place as part of the 2018-19 upfront season.